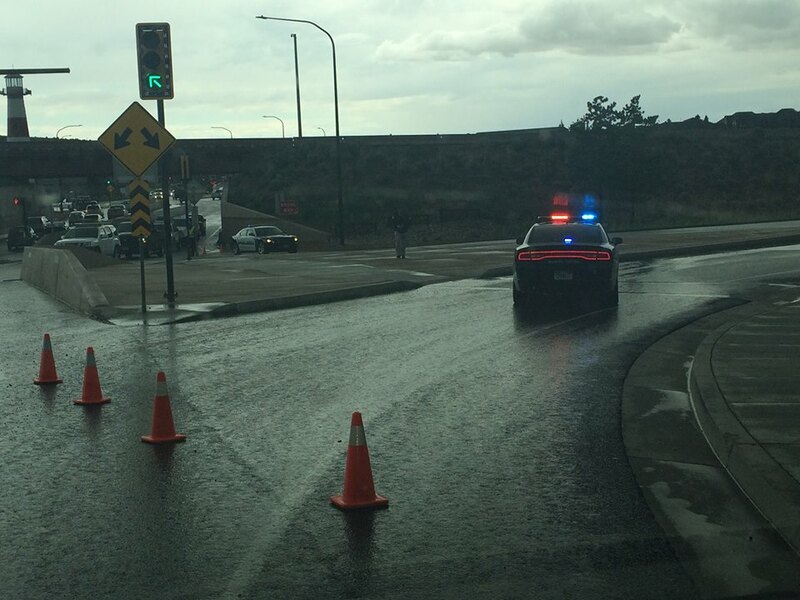 CEDAR CITY – A Utah Highway Patrol trooper is in serious condition after being struck by a car while responding to an accident on Interstate 15 Monday. 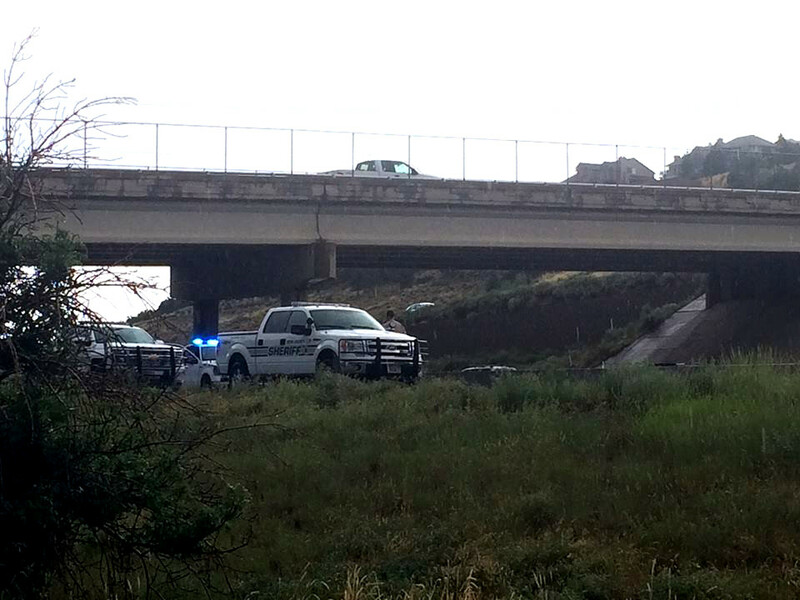 Trooper David Schiers was investigating an accident near milepost 58 in Cedar City which occurred around 3 p.m. A white Ford passenger car had hydroplaned and struck a cable barrier on the side of the freeway. 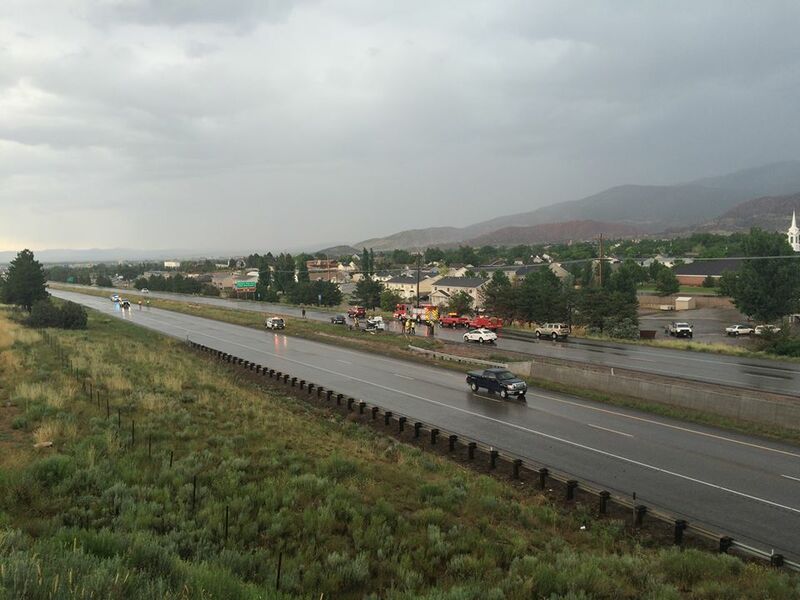 The occupants of the vehicle could not get the car doors open, and Schiers was waiting for the Cedar City Fire Department to arrive and assist the motorists. 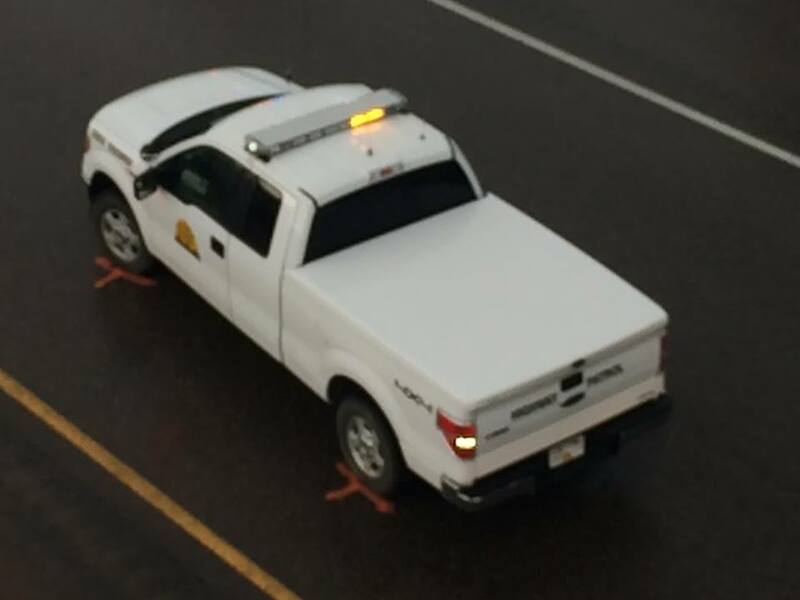 As Schiers was outside of his vehicle, a black BMW struck the white Ford passenger vehicle, pushing the Ford into the trooper and pinning him under the vehicle, Utah Highway Patrol Lt. Steven Esplin said. 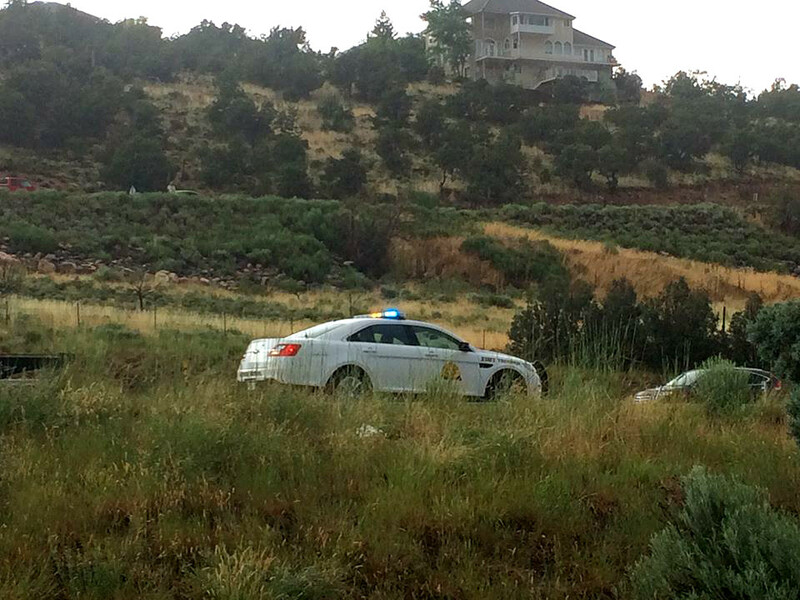 The dashcam video below, courtesy of Utah Department of Public Safety, shows the trooper talking to the driver in the Ford vehicle when the BMW slides out of control and crashes into the car and trooper. 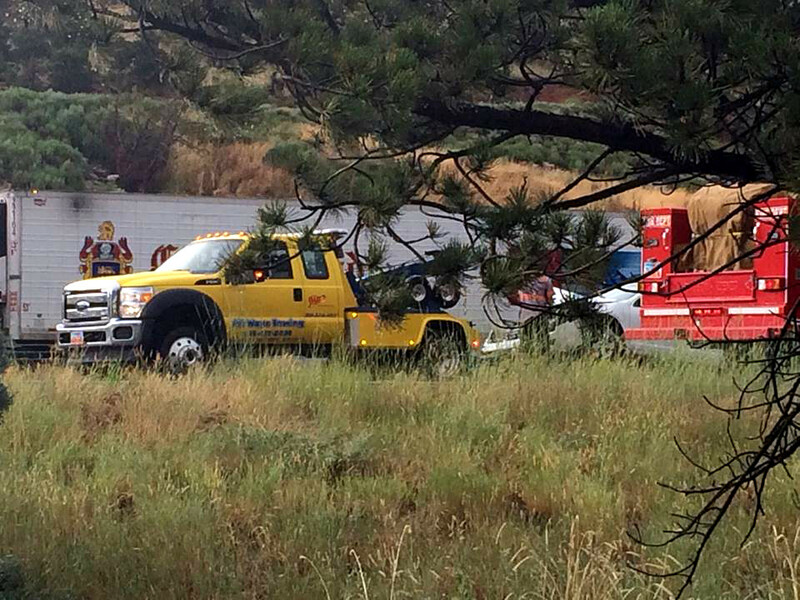 The Cedar City Fire Department used the Jaws of Life and lifted the vehicle off of Schiers. 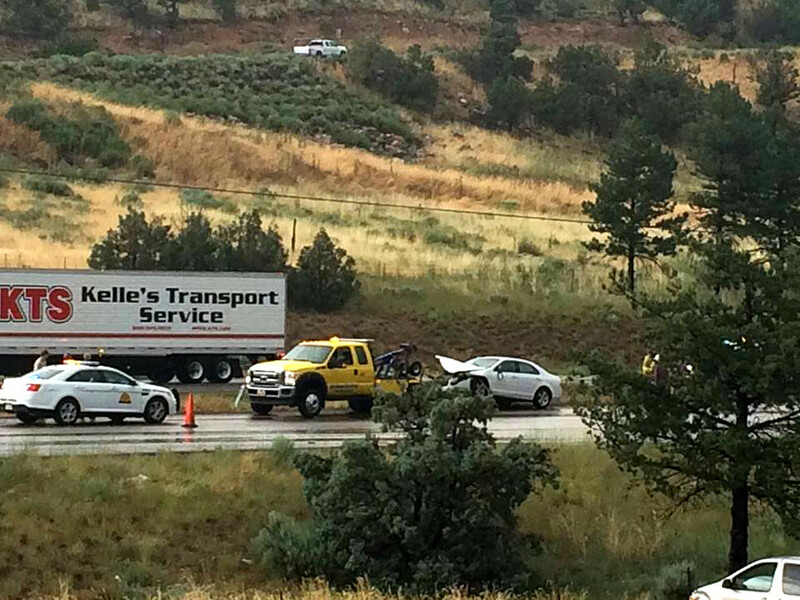 The trooper was transported by Gold Cross Ambulance to Valley View Medical Center in Cedar City, where he is in serious but not life-threatening condition, Esplin said. 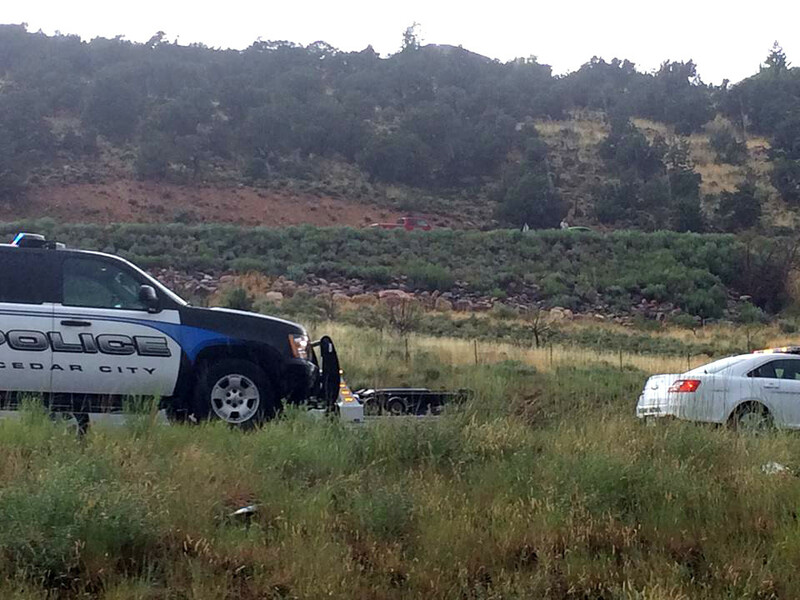 The Cedar City Police Department is still investigating both crashes. 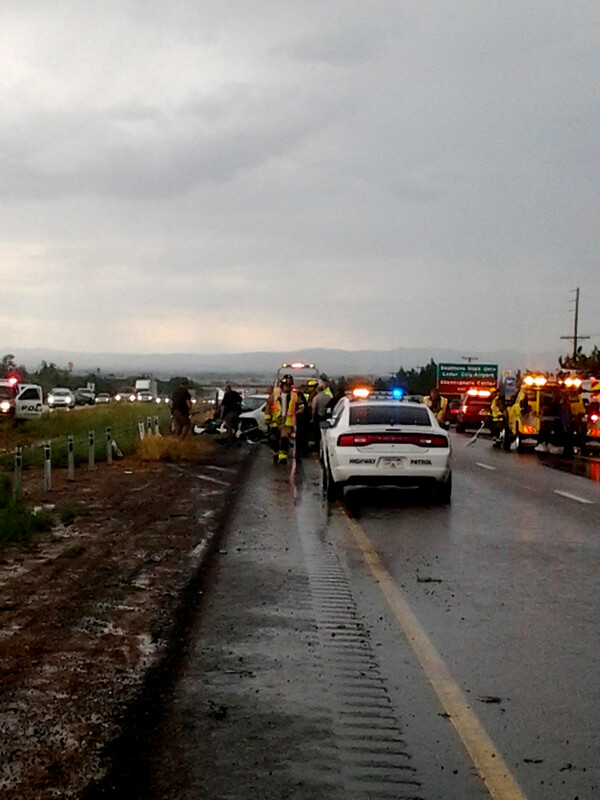 Heavy rainfall and pooling of water on I-15 are believed to be the major contributors to the crashes, according to a press statement released by the department. 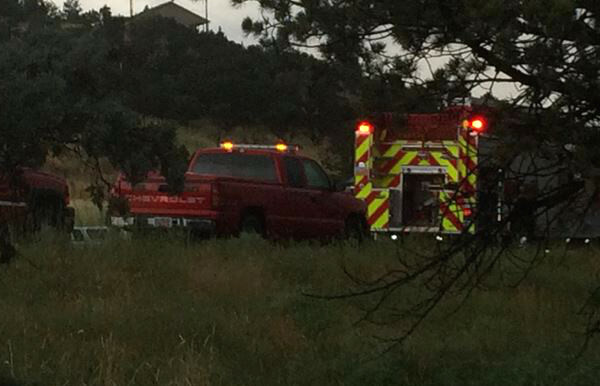 There were no other injuries reported by the occupants of either of the involved vehicles, Esplin said. 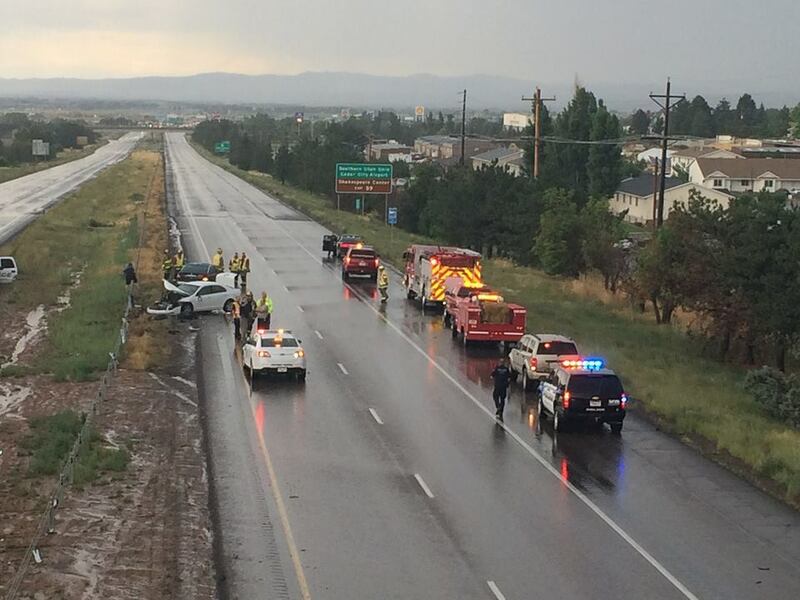 Multiple agencies responded to the accident, including the Utah Highway Patrol, the Cedar City Fire Department, the Cedar City Police Department, Iron County Sheriff’s Office, Utah Department of Transportation and the Southern Utah University Police Department. People drive too fast, and besides your suppose to move over 2lanea when you see flashing lights. 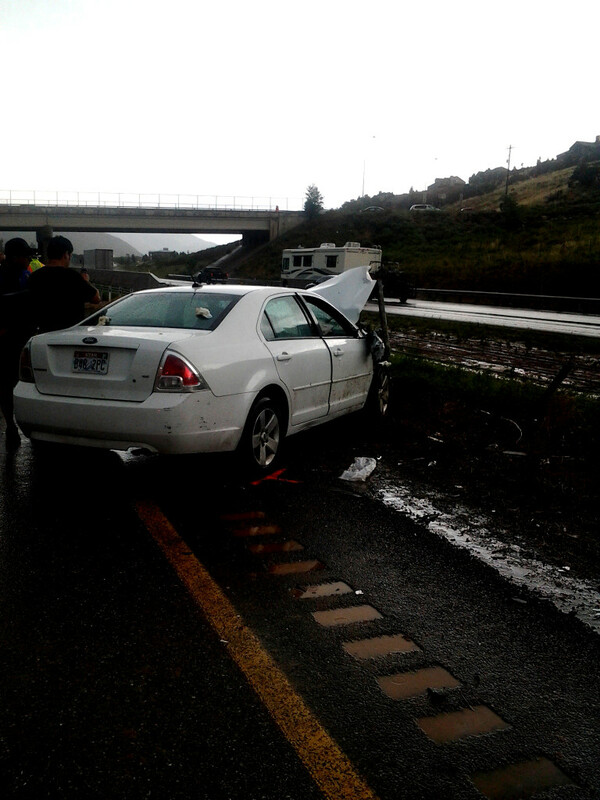 What was wrong with the driver who should be cited for not doing so.. State troopers risk their life every day.. People should slow do in bad weather..maybe some of these reopen cars go too fast for our roads..
Wow, I agree. 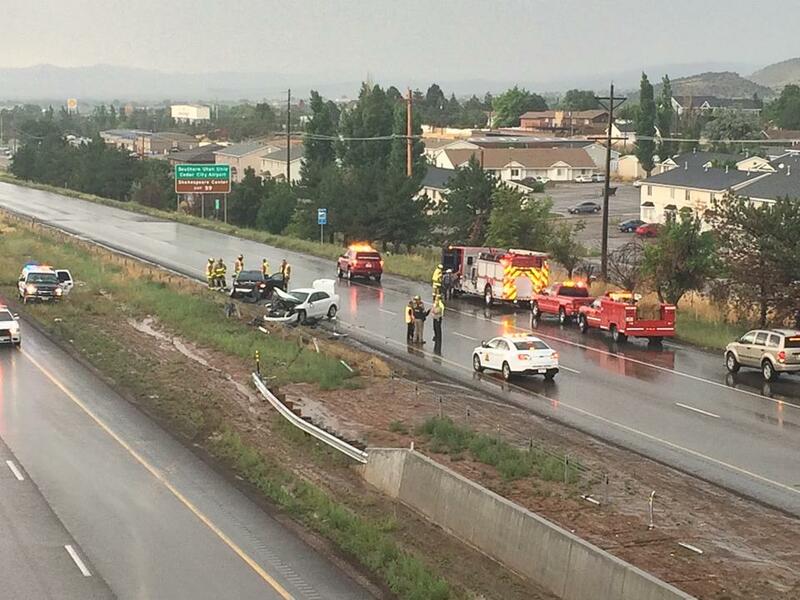 I think the article should read that the wet roads contributed to the accident but it was caused by yahoo driving.